Why Brains Go Haywire, and What Will Help. Today we ask that you be considerate of your own individual neurology. Every human has a different brain. No two brains are alike. Many of you have concepts about “normal” brains, and “abnormal” brains. And human beings are currently undergoing a rapid evolutionary process that is being manifested on a wide scale with neurology that appears to be “abnormal.” What is called “autism” is very much a part of this. It is not that you possess abnormal or defective brains. Rather, you have brains in which an extremely high volume of energy is running. This is happening at the same time that humans are living more sedentary lives, and absorbing a lot of toxicity into their bodies, from food and the environment. In addition, humans are spending most of their time absorbing electrical stimuli from TV and computers. Not only are your evolving brains running a lot of energy on their own, but you are constantly bombarding them with additional stimuli. Meanwhile, your bodies are sedentary, and overtaxed cleaning out toxicity from food and the environment. The point is, maybe your brains are not abnormal. Your brains are doing the best they can under very challenging circumstances. Nevertheless, they may be going haywire. 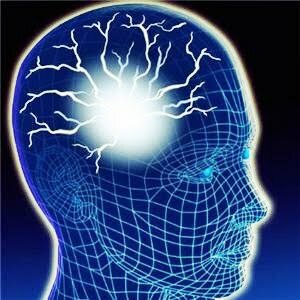 Most brain dysfunction is essentially electrical in nature. This affects the biochemistry, but the root of the issue is electrical. Your brains are overloaded with electricity. They are shorting out. This is why it is absolutely essential that you learn to ground yourselves. Grounding practices balance your energy, and particularly help to discharge excess or loose electrical energy. One of the simplest ways to ground yourself is to literally stand on the ground. Go outside, in bare feet, or socks. And stand on the open ground. If you did this several times a day, particularly when working with computers, you would notice an improvement in your well-being. If you are feeling “fried” or “burnt out,” standing on the open ground with bare feet is a very simple healing practice. It is good to go outside. It is good to take relaxing baths. It is good to turn off the TV, phone, and computer. It is good to be around animals and children. It is good to meditate. It is good to do grounding physical practices, like yoga and tai chi, that balance out the energy system. It is good to work with energy workers and healers. It is not that your brains are broken or defective. You are evolving. Humans are rapidly evolving. It is essential that you help to midwife the evolutionary process within yourselves. You must remain balanced, grounded, and in touch with the earth. You must assist your bodies and brains in these challenging times. If you are feeling anxious and nervous, try going outside, and standing on the ground with bare feet, or socks. You will see — it works! “normal”, “abnormal”, or UNIQUE? Let’s rephrase and think about this differently!